A month and a half after revealing the finalists of the 2017 EyeEm Awards, the photo sharing community and licensing marketplace has finally revealed the winners. The 2017 EyeEm Awards have a few distinguishing factors. First, if you go by number of submissions, they are the world’s largest photo competition—over 590,000 photos were submitted by over 88,000 photographers. Second, for the first time in the awards’ short history, all of the winning images come from a full series. And finally, this year EyeEm added a Community Vote category. Scroll down to see all of the winning series, along with a short description of the photographer and what they were trying to capture. 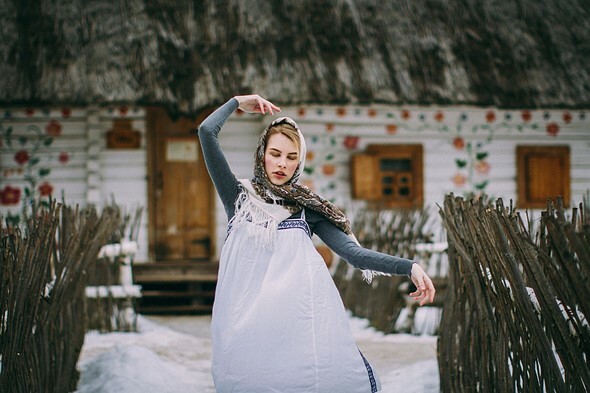 Sasha Dudkina is a 19-year-old photographer from Moscow, Russia. She shoots with a Canon 650D and occasionally her iPhone. Sasha’s photographic style is characterized by glances and holding on to fleeting moments. She considers herself an observer, always taking in the people and events around her, often times snapping candid photos of her friends and strangers. Her photography is inspired by her home country of Russia, its literature, music, diversity of nature and especially the people. Guiga Pira was asked to join the crew of an anti-poaching ship as the drone pilot for a campaign to protect the most endangered marine mammal in the world from illegal fisherman. Drones were used to locate, identify and document illegal fishing activities in a protected area. The lead photo was taken as part of Julie Hrudova’s series, ‘LEISURE,’ which is an ongoing series Hrudova says is “core to what my work is about.” It’s a play with photography being a trustworthy and truthful medium by creating some confusion about what is actually happening in the image, or why. Hrudova says her subjects are focused on their leisure activities and often isolated. The photos from the series are taken in Moscow, Tokyo and Amsterdam. The winning image was taken as part of Adeolu Osibodu’s series, ‘Losing Amos.’ Osibodu says: “My Grandfather Amos died in 2014. It was then that I realized how casual my idea of him was. I constantly asked myself why I couldn’t see beyond his heavy grins, why I couldn’t define him as more than the man who was never unhappy… these were unsettling thoughts that meddled with my conscience.” Osibodu decided to take a series of self-portraits wearing different clothes his grandfather owned at various times in his life. The winning image is from Ramin Mazur’s series, “The Process,” documenting a production of Hamlet put on in a prison in Moldova. The Republic of Moldova has one of the highest numbers of inmates per capita in Europe, including the highest rate of the long term convicted. To shed a light on the issues of penitentiary system, art centre “Coliseum” directed a play in the most secure prison in Moldova. For several months inmates were studying the craft of acting to perform on the same level as professionals from the National Theatre. Some of the inmates had already been in prison for more than half their lives. Through this play, directors Mihai Fusu and Luminita Ticu aimed to draw attention to conditions of lifers in Moldova, the penitentiary system as whole and most importantly, stereotypes. Robert Torrontegui‘s portrait series captured in Manila, Philippines was selected by the EyeEm community from all of the finalists.